Open in Full Screen in Google Docs or download Final Draft of EdTech 2011 Conference Programme Schedule as a pdf file. A session of long research papers representing the process and/or findings of current research projects in technology enhanced learning, or elearning. A session of short practioner papers demonstrating speculative or experimental approaches that fall within the theme of the conference. A session of very short practice exchange forum presentations. Intermediate Animation with MEDEA2010 (20 places available): How animation can motivate and stimulate learning from an educational and media production perspective. Has your submission to the EdTech 2011 conference in Waterford been accepted? If so, you may wish to refer to the below author guidelines for the Book of Abstracts and to help you prepare your presentation slides to ensure we receive these in advance. 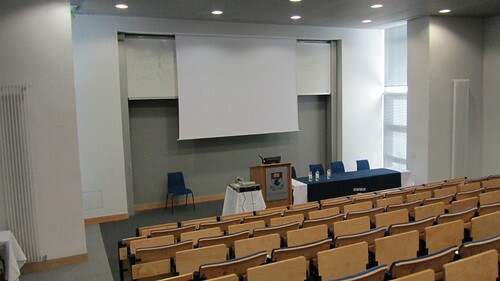 Final edits of your abstract and presentation slides should be sent via email to edtech2011@wit.ie and to info@ilta.net by the 16th of May 2011 deadline.